Another WordPress congress? People who follow me a bit, know that I have been visiting WordPress Congresses (or WordCamps) for a number of years now. A few weeks ago I was in Brighton and from 30th of August to the 1st of September, WordCamp Nijmegen was organized for the second time. The common thread for me this time was the importance of the speed of your website. During Contributor Day we work together to improve WordPress. Not only the software itself, but also all the communication, translations and documentation related to WordPress. Since January 2018 I have been actively involved with the WordPress Design Team. That is why it was logical for me to offer myself to be the supervisor of the design table. Just like last year, WordCamp Nijmegen was at Radboud University. A university is a very suitable place for a WordCamp. There is plenty of room for smaller sessions and the lecture halls are equipped with good presentation options. I was a volunteer again and on the first conference afternoon, I announced the speakers in track 1. We learned successively from Olaf Lederer, Shad Raouf, Evert Semeijn and Adjmal Sarwary about conversion optimization, a friendly way of selling, neuropsychology and online analytics. In the evening, the conference attendees spread out across various restaurants in Nijmegen and conversations arose with old and new acquaintances about the most diverse subjects. But of course also about WordPress and WordCamp itself. The second day of the Congress was for me in the theme of speed. This started with a workshop by Maik Gruppen about optimizing WordPress websites. First, he explained what you should pay attention to if you want to improve the speed of your website. Then we got given some practice websites that he deliberately arranged in a ‘bad’ way. We had to investigate what we could do to speed up the website. Unfortunately, I came across a number of things that many of my customers also do wrong: placing too many images on your website. By default, I already install an image optimizer on the websites of my customers. I know that most do not have the knowledge or the patience to reduce images beforehand. A lot of useful tips, where once again it became clear that the choice of the right hosting company also makes a huge difference. The rest of the day I did not see many presentations, I spoke mostly to visitors of the WordCamp. As I go more often, discussions with other visitors and sponsors start to play an increasingly important role for me. In the afternoon there was a BarCamp. This means a number of empty sessions for which visitors to the conference can submit a presentation. Then all visitors can vote for the submitted presentations. 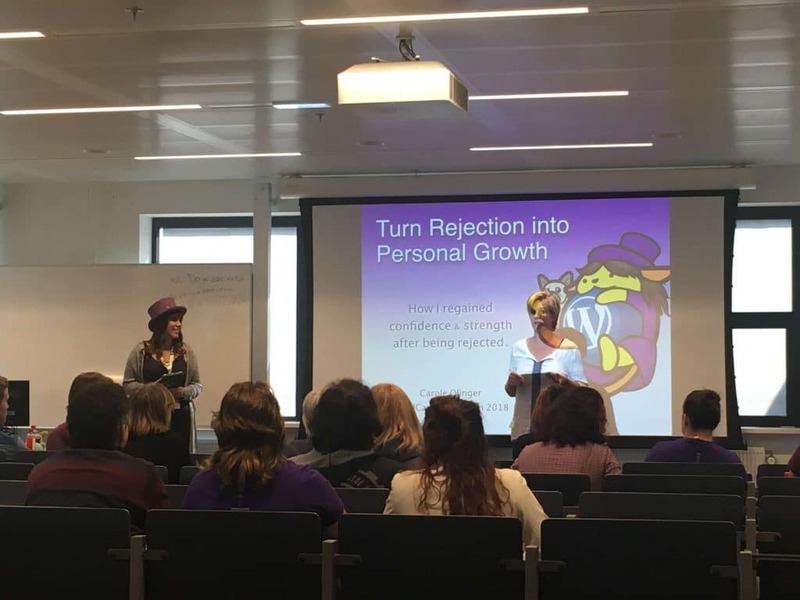 This gave Carole Olinger the opportunity to share her experiences about her rejection as organizer of WordCamp Europe 2019. This was a huge setback for her, after her great contribution as an organizer in Belgrade in 2018. She managed to turn this setback into something that would make her stronger. An inspiring and powerful presentation for all women and all other strong, passionate people with an active role in open source. She now has the Manifesto that she read during her presentation published on her website. I always tell my clients that the speed of your website is important and it, therefore, should load in under 3 seconds. But that was refuted in the closing keynote of this WordCamp Nijmegen. Jono Alderson told us in high speed and with a lot of British humor that 0.6 seconds is the new slow. And especially that every website must be able to achieve a loading time of no more than 1 second. I think I’ll have to review the presentation at half speed to see what exactly the practical tips were, but this certainly gave some food for thought. WordPress.tv publishes, as always, all presentations online. This may take a while. If you want to see the presentation of Jono Alderson, Bridget Willard filmed it for Periscope. The day ended with a fun, interactive WordPress quiz and a nice drink. All in all, it was a successful WordCamp, but there was also some room for improvement. In contrast to larger WordCamps, at an event of up to 200 people, you can almost speak with everyone. This gave room for new participants to get to know a WordPress conference close to home. You could see that the organization was very experienced. Certainly as a volunteer, I noticed that they responded and communicated well whenever there were questions. A university offers sufficient facilities to organize an event such as a WordCamp. The atmosphere was very good. All dietary requirements were taken well into account. The information about the workshops was somewhat limited. I had signed up, but I did not know exactly for which. It wasn’t clear how I could verify my subscription. At other conferences I have attended in the past, the times and workshop names for which you had signed up were also printed on your badge. That worked well for me. 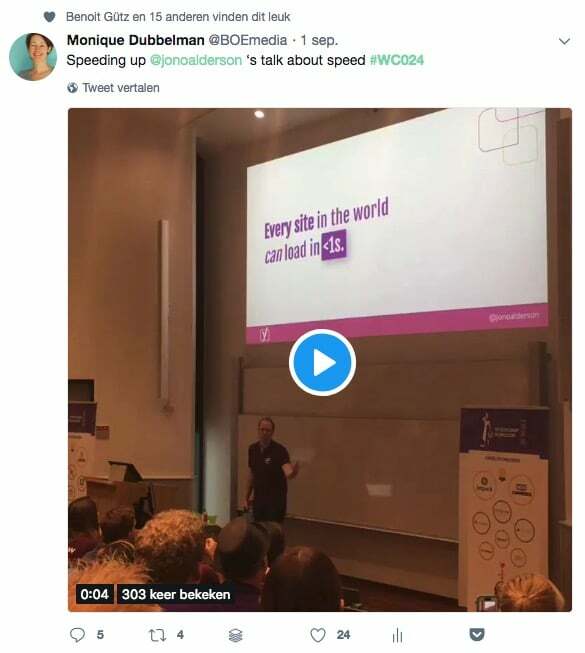 Not specific to Nijmegen, but I would like to see that WordCamps provide information in the program about the level of a presentation in addition to the subject (business, marketing, design, development, etc.). Is it for beginners, advanced or experts? As a non-developer, I prefer to go to beginners presentations, as I’m sure that I’ll lose track with the experts. I increasingly see at WordCamps that you need to check the website to look at the program. Now the wifi was good this time, but it’s still nice to be able to look at the program on paper. I understand that because of changes in the program and the environment this is not done, but a few posters spread over the location would be nice. During WordCamp Nijmegen, you could choose between two tracks, sponsorship sessions and workshops. With a smaller number of visitors, this creates competition between the various program components, so speakers sometimes only have 10-20 people in the room. That is not so motivating. So make sure not to schedule different components at the same time. Actually connecting to the previous point. For many people, meeting and speaking with other participants and sponsors is an important part of the event. The lunch outside was nice but meant that there was less attention for sponsors at the same time. The morning and afternoon breaks were a bit too short to actually use these for networking. Plan the program less full, take care of longer breaks so that both speakers have the advantage of a full room, and the visitors have more time for networking and visiting the sponsors. It always feels a little uncomfortable to complain about this, but I found the catering partly in need of improvement. We had a tasty lunch and the organisation paid sufficient attention to all diets. What I mostly missed was something to snack in the morning or afternoon. For example, a biscuit, a granola bar, some chocolate and/or fruit. For me, the times between breakfast and lunch and dinner were really too long. It differs per WordCamp how the organising team arranges this, so it is always a bit unclear what exactly you can expect. Luckily Yoast was there with the stroapwafels to save me on Saturday morning! All in all, I had a good time again. Every WordCamp I learn something new and I get to meet some new people. I really advise everyone who does ‘something’ with WordPress to go to a WordCamp. You will return from it richer. ← Why would you work for WordPress for free? We hate SPAM as well, so we won’t share your email address with others. You can unsubscribe anytime.